It is still technically Easter time, so what better time of year to take a look at something a little sillier than usual? Guess That Fart, available for Android through the Google Play store, is about as silly as you get, but it is pretty funny for people with the right sense of humour. If you are still reading, then I am guessing that you are the right kind of person for this app. Fart apps are nothing new; they have been around since the very beginning of Android apps, although Apple were a bit stricter with them, at least initially. Thankfully, this one has had a bit more thought put into it than the majority have, and ends up being far more entertaining for this reason. The whole app is based around a gameshow, where you have to guess whether the farts on display are real, or fake. Now, the developer claims that all the ‘real’ farts here are 100% authentic, which brings some odd imagery to mind, and also tells me that they had just as many laughs creating this app as much as anything. With the authenticity nicely verified, although thankfully without video evidence, we can move onto the actual game, which is pretty good. Players must simply answer as many questions as possible, with each one playing a recording of a fart and asking whether is was real or fake. 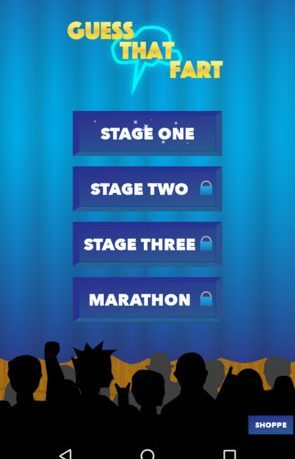 You get given a title based on your performance on each set of levels, and these can also be pretty funny and entertaining. The game is single player, and although you can obviously take turns with a friend, I would like to see a proper ‘pass and play’ mode added in the future. 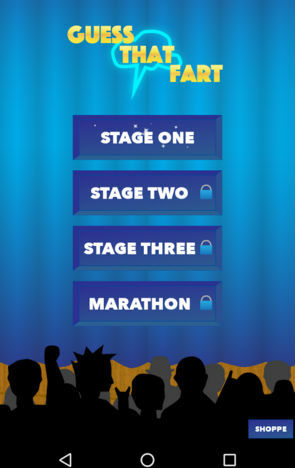 There are three set of levels included, as well as a marathon mode, which is not bad considering the app is free. The look of the app is a little too simple for my taste, and I think a few humourous images and themes would help to spruce things up a little, although what is here is intuitive to use. Overall, this is a silly app that is sure to provide a few laughs. It is free, so there is little reason to not pick this up if you know that this sense of humour appeals to you. Don’t hold back now. Thanks so much for the thoughtful review! Multiplayer sounds like a great idea… maybe I can add it in a future update.